MELBOURNE, Australia, April 10, 2018	(Newswire.com) - United Australian Homes is an Australian company whose directors have over 30 years’ experience in construction industry. They are a listed builder and have Unlimited Commercial and Unlimited Domestic builders’ license allotted by the Victorian Building Authority. From simple beginnings as a new home building firm in Melbourne, United Australian Homes has built a good standing for offering new home building choices, quality, and value for money. The firm involves clients in each phase of construction, letting them personalize their new homes via the different selection packages offered. United Homes Australia has vast involvement in commercial building construction. This puts them in perfect stead to effectively conduct project management on a client’s behalf, delivering invaluable input along the way, and guaranteeing the final product is an exact reflection of a client’s vision. United Homes Australia’s entire team comprises devoted specialists with many years of on-the-job experience who never wander from their vow and philosophy of availing the best quality, value, and service of any commercial builder in Melbourne. The firm has established the market for commercial projects in Victoria with buildings branded by style, strength, and stability, yet at leading market price that does not sacrifice on either. 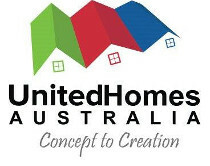 United Homes Australia can design and build a townhouse development in Melbourne. They have a good market grasp and the demand for this style of contemporary housing. Their au fait acquaintance of preparing provisions places them in a position to advice on how to capitalize the offered space on every property. Specialists in design, they also give recommendations on the latest design trends; from finishes, facades to floor plans. Whether a client chooses to go with one of their modern townhouse designs or customize to their conditions, they can rest assured of a job well done on completion, all the while being updated on the progress. United Homes Australia is one of the trusted Balwyn builders for construction of homes. Based in Melbourne, Australia, United Homes Australia is a construction company with more than to and half decades of experience in the construction industry. United Homes Australia, a construction company with a promising future, is offering efficient and affordable building services for residences in Balwyn and beyond.